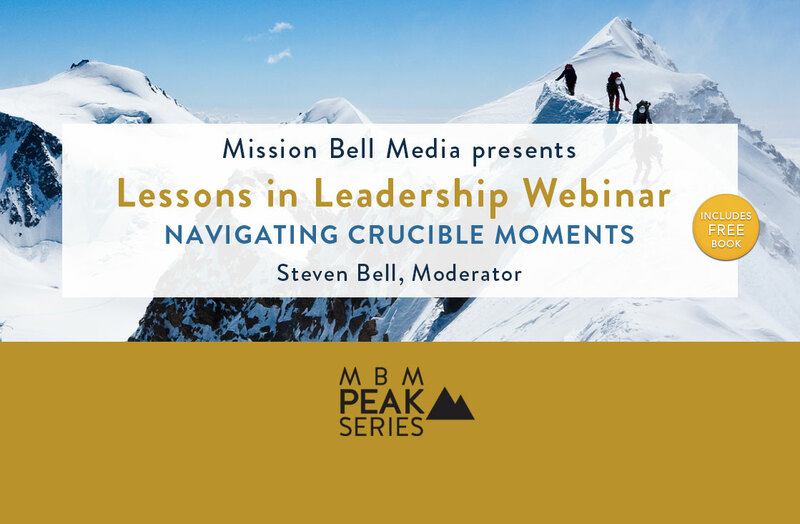 I’m honored to be participating in a “Lessons in Leadership” webinar on April 27th, 2:00 pm ET, along with fellow Crucible Moments co-authors Steven Bell, Trevor Dawes, and Erin Smith. Everyone who registers for the webinar by April 20th will also receive a complimentary copy of the book that also includes chapters by Maureen Sullivan, Char Booth, Brian Matthews, Kenley Neufield, and more! I’m pleased to share that I have a chapter, “Influence is a Choice: Aligning Actions Toward Your Preferred Future”, in Mission Bell Media’s new book, Crucible Moments: Inspiring Library Leadership. You can see a preview of the book here. I’d like to thank Steven Bell, Editor, for inviting me to offer a chapter along with the other authors, many of whom, including Trevor Dawes, Brian Matthews, Char Booth, Jon Cawthorne, Kenley Neufeld, Maureen Sullivan, and Steven himself, have been inspiring me through their writing, speaking, and general thought leadership for years. It’s an honor to have my writing alongside theirs in this wonderful volume. 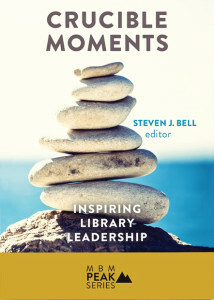 I encourage you to check out this book because it is not your typical tome on library leadership. Through a variety of personal stories and perspectives, leadership is presented as an “as lived” experience. It is only by confronting, navigating, and reflecting upon our personal challenges –our crucible moments — that we clarify our values and develop a deep understanding of our own leadership strengths and deficits. This week I was honored to be the opening speaker for Library Journal’s new Lead the Change Leadership Academy. My presentation focused on how to develop emotional and social intelligence competencies, how to use a basic coaching model to increase one’s effectiveness, and how to use the Intentional Change model to bring to life a vision of our ideal self. The complete text of my talk are embedded in the notes field of my slides which are available on slideshare. Full text of the talk is also available here. I also created an interactive workbook as a supplement to the talk which will help you put the principles into practice. The recording for my webinar, “Influence When You Have No Power or Authority” is now available on the Utah State Library’s Training site. Webinar Description: Regardless of whether you have a great deal of positional power or authority or none at all, you can exert meaningful influence and help bring about the future you prefer. Using proven techniques grounded in a simple model of coaching, and practicing emotionally and socially intelligent behaviors, you can learn to bring yourself into a state of greater resourcefulness, focus your attention and energy, get into action, and exert purposeful influence in any situation. The powerpoint and fulltext are available for download on my Slideshare site as well as embedded below.. Here is the slidedeck from Purposeful Influence, my Keynote at Connecticut Library Association Leadership Institute University of Hartford, West Hartford, CT August 9. 2013. You can download the slidedeck (with full text of talk in notes field) at Slideshare.